This year the Institute will be held at NYU from August 6-10, 2018. 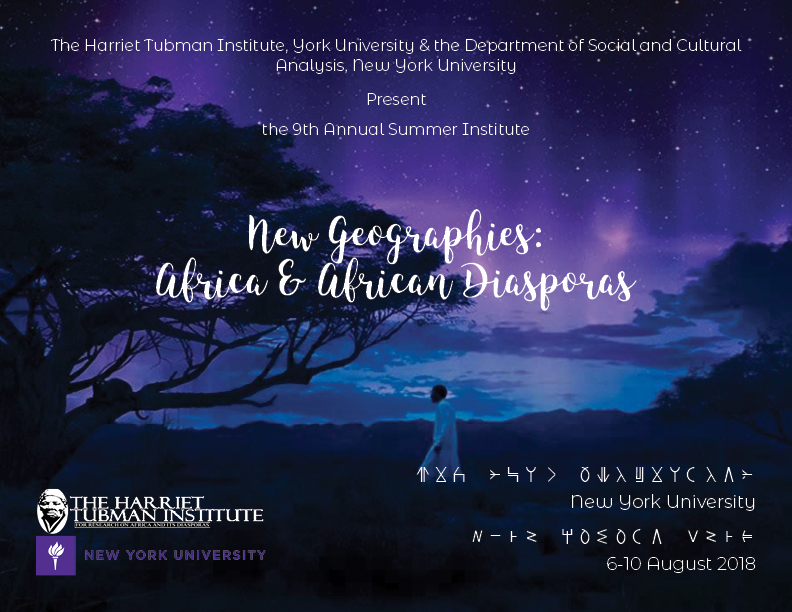 Researchers will offer panels, roundtable discussions, and plenary sessions that probe the political and cultural geographies and social practices that define Africa and African Diasporas. Questions to be interrogated include: How do we define African Diasporas, internal and external? How do historical, contemporary and cultural narratives reflect and/or shape our understanding of the experiences of persons of African descent? How do media and technology foster or inhibit diasporic linkages? We encourage papers from a wide range of academic disciplines and methodological backgrounds related to the diverse ways peoples of African diasporas have built social institutions, transformed societies, pioneered forms of communication and forged ritual practices. The deadline for application is Monday, April 30, 2018. Applicants will be contacted with the results of their applications by June 1, 2018.
o Accepted applicants will be informed about the procedures for registration, including fees. Registration/administrative fees: $100US (inquire about discount for participants from Africa & Global South). A programme of cultural activities and field trips will be announced. Posted in Events, Graduate Student News. Tagged Summer Institute.